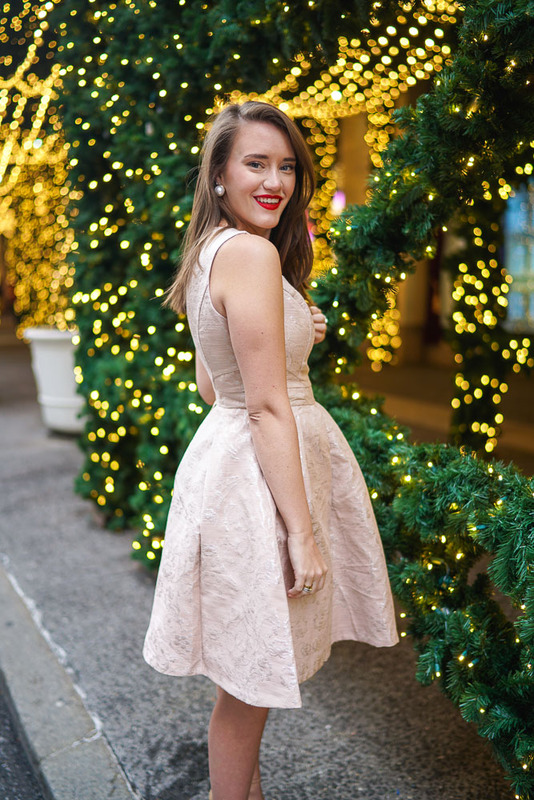 Oh HIII welcome back to day NINE of my "12 Days of NYC Christmas" here on Covering the Bases! Crazy to think we're almost done with the series... it has seriously been SO much fun to do. And it's nice to be able to look back at photos from this magical month in the city. So what are you waiting for?? Let's get into it! Happy official Christmas WEEK!!! Ahh who is excited?? I've been home for a couple of days now and I absolutely love it. Always so much fun to see the family and just relax but I will admit I'm missing New York. These posts are seriously not helping either! Why can't the suburbs be this pretty?? The dress and the sweater are actually both from the Eva Mendes Holiday collection at New York & Company and if you haven't already, be sure to check it out. I've been a big fan of Eva (and New York & Company) for so long now I'm SO thrilled to see a collaborative collection!! For those working girls like myself, New York & Company is a MUST for cute clothes! I will admit that I wore the sweater/leggings look around the city this day after we took my new dress for a spin. The sweater is so so soft and is perfect for the holidays. 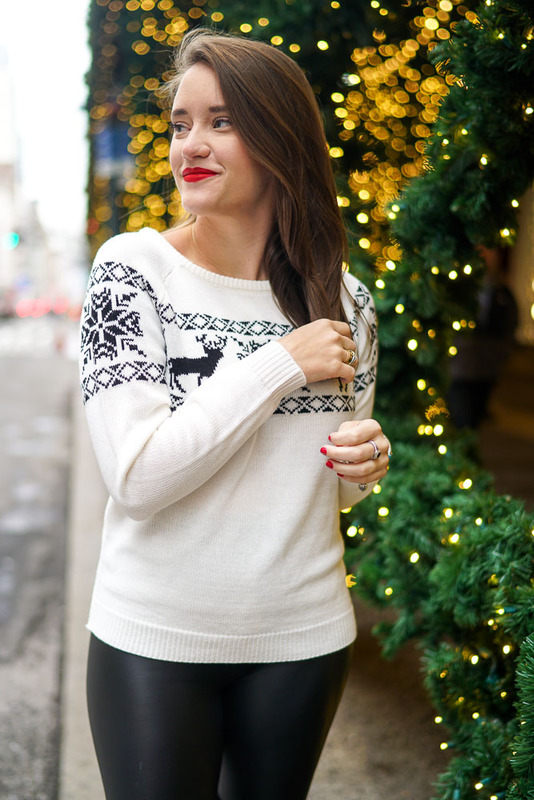 I'm always a big fan of holiday sweaters and this one is perfect for every occasion. Comfortable is KEY for the city. 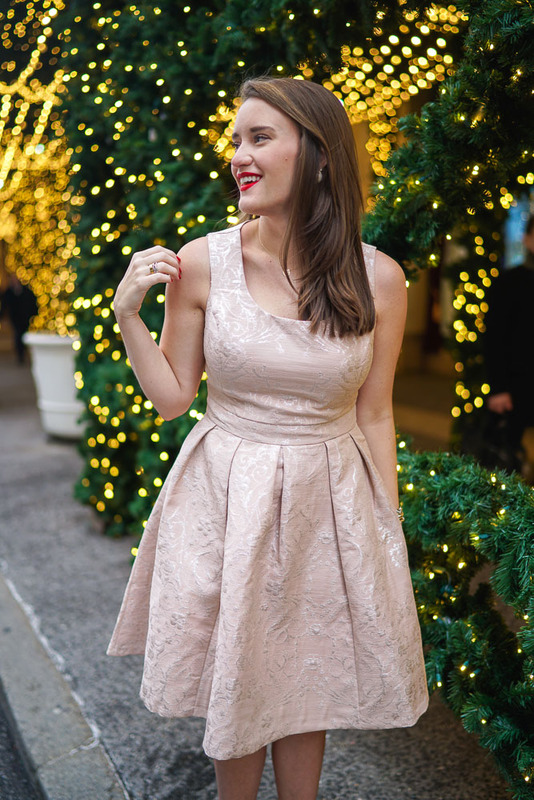 Big thanks to New York & Company for sponsoring this post!